When photographing a destination wedding, it's important to show the surroundings. By working as a team, my second photographer and I have the ability to work from differing vantage points, thus providing our clients with coverage of emotion and expressions as well as surroundings and environment. 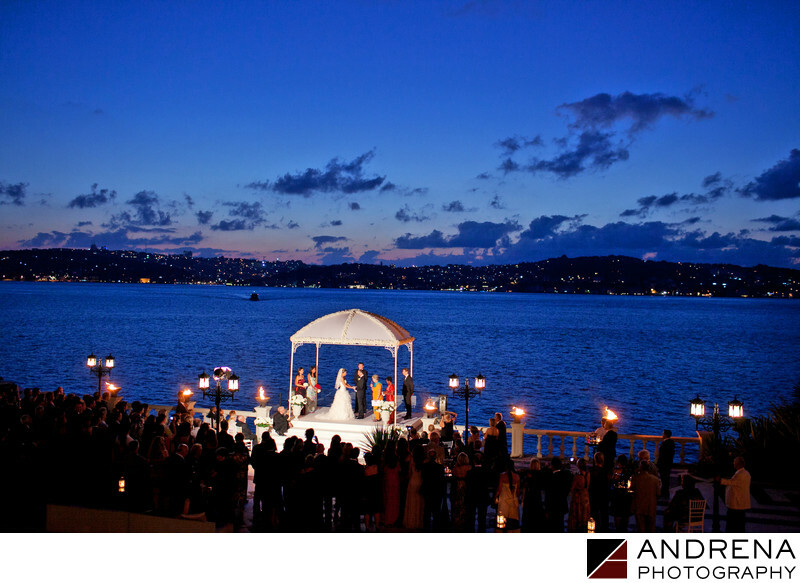 For this destination wedding, which we photographed in Istanbul, Turkey, my second photographer climbed up to a high balcony surrounding the property, which was on the shores of the Bosphorus. I'm down with the couple to catch all the ceremony action, while my second photographer is far away, capturing this incredible panorama. By offering diversity of viewpoint, we provide our clients with a spectacular range of images. My clients loved this image. Destination wedding photographed in Istanbul. Turkey.